The following is a guest post about property management. If interested in submitting a guest post please read my guest post policy and then contact me. In case you didn’t already know it yet, the future of business IT is here, and it goes by the name of cloud computing. Many businesses, large, medium and small, already keep some or all of their business functions and data in the cloud, and the technology is advancing rapidly, with new software emerging that enables companies to operate far more competitively and flexibly. Always among the biggest worries for any new business are the servers they require to hold their data, and the often quite huge cost of buying applications such as Microsoft Office for their staff to use. For the highest performance servers, capital spend could easily run into the thousands. When you use software hosted in the cloud though, that expenditure is nullified. You use your provider’s servers, accessing the software through a web browser. You’re also paying for that software through a subscription that gives you a myriad of other benefits, making it far less expensive. Cloud providers benefit from huge economies of scale which is passed down to the subscribers. With the majority of your IT infrastructure now hosted off-site, your need for support is far less. If anything goes wrong with your business applications the provider is going to have a crack team of experts who will have everything running again quickly. That means that you can re-deploy your existing IT staff to other areas, and you’ll have less recruitment or salary costs to worry about in future. Your back-up equipment costs are reduced also, so no need for ‘spare emergency servers’. It can get pretty annoying, not to mention expensive, to upgrade your software every few years, or install patches at regular intervals. With cloud IT services, the provider deals with all of that, usually free of charge. So your business benefits from always having the most up-to-date applications running with no need to shut down operations to install them. Many companies will often find they pay out for software that doesn’t necessarily get used, making it redundant, and they’re possibly even renewing it pointlessly year-on-year. Cloud packages are flexible enough that your business can use what it needs and nothing else besides. Plus they’re easily scalable so they can cope with spikes or downturns in activity. If you look at the average server room then you’ll see that in most cases the machines are rarely, if ever, running to full capacity. Added up over a year that’s a lot of wasted energy. So if you’re not using your own servers you’re likely to see energy bills fall quite dramatically too. Because cloud technologies allow staff in different locations and time zones to easily collaborate on projects, it makes the option of home-working a lot more realistic. So if your company employs ten staff, but seven of them can work elsewhere, that means you need to rent far less office space. Something every finance manager loves are predictable costs, and since your cloud package will be a flat monthly fee, that makes forecasting and budgeting a lot easier. 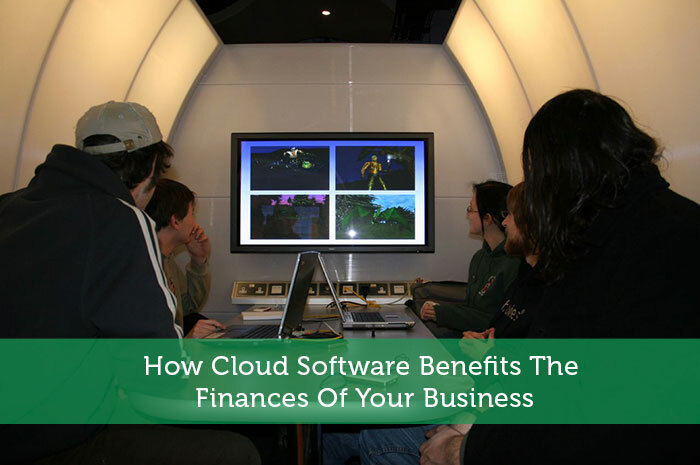 As with any major business decision, it requires careful research before subscribing to a cloud provider. You need to ensure that your package is going to give the company best value for money, and that includes offering 24/7 support. In the long run though, almost any business is likely to see financial benefit from switching to the cloud, and fairly quickly, at that. I told my husband about Cloud Software and he told me that it’s really good software. He is a Senior Software Programmer and this Software must use for the business owner.